Landor and Incubis’ partnership establishes India’s biggest terminal as a unique Indian icon proud to take its place amongst the world’s best airports. Read on to get in on the story of Delhi T3. 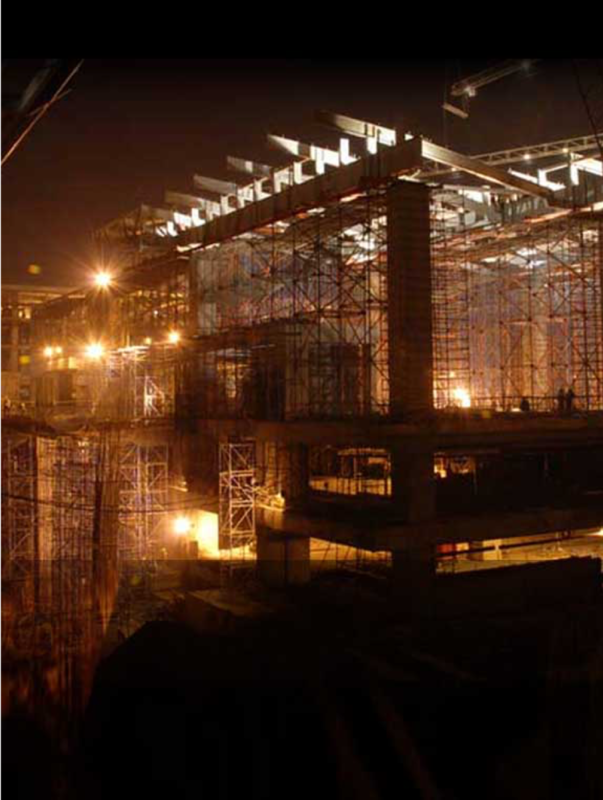 The plans for T3 had it all – a magnificent master plan, massive scale and state-of-the-art steel and glass construction. Extensive retail and F&B offerings coupled with impeccable customer service would make T3 comparable with the greatest airports of the world, unlike anything seen before in India. But T3 could have been an airport anywhere in the world. Designed to handle 34 million passengers annually, its mammoth infrastructure would include 168 check-in counters, 49 arrival and 50 departure immigration desks. Impressive statistics, but was this sufficient to create an exciting and lasting impression of India and Delhi in the minds of travellers? 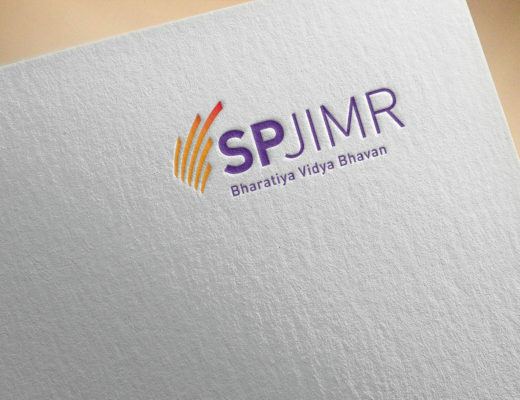 This is when GMR brought on board the expertise of Landor and Incubis. Landor’s renowned strategic brand consulting and design expertise was paired with Incubis’ proven interior design and implementation capabilities to create a unique experience at T3 to showcase the best of modern Indian infrastructure. Site audits revealed a compelling opportunity to create a sense of place and unravel an interesting visual story at the new integrated passenger terminal. This led to the idea of adding an Indian soul to T3, transforming it from being just India’s biggest terminal to an architectural and experiential masterpiece. A traveller journey mapping exercise led to the identification of unique touch points that would reinforce the sense of place in different ways and create an emotional connect for T3 with travellers. So how did we add soul? 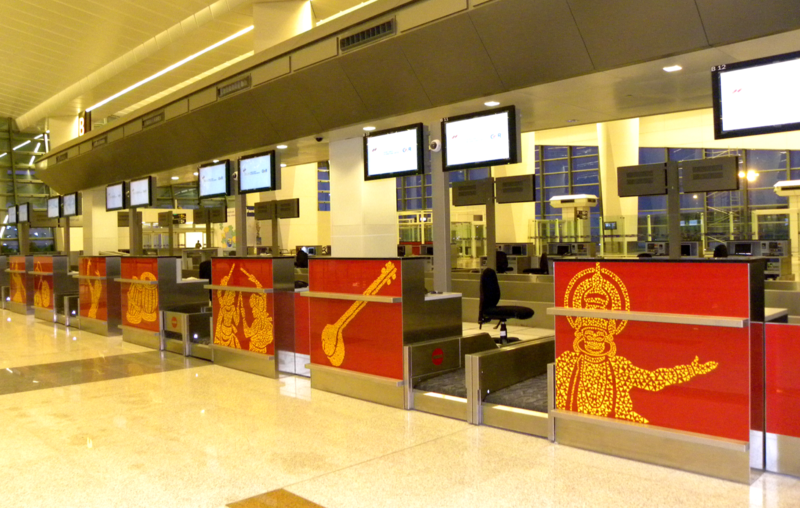 Landor’s big idea for T3 is “Expressive India”. It is the canvas for the visual language and spatial interventions that create the T3 brand experience. 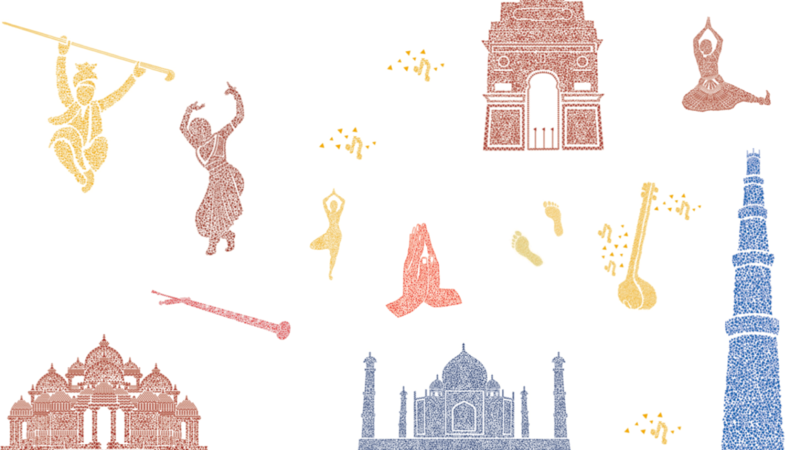 GMR’s identity inspired the triangular symbol that forms the basis of the graphic system and can take a variety of forms from the expressive Bharatnatyam dancer to the monumental Taj Mahal, from the beat of the tabla to the rhythmic steps of the Dandiya Ras. The Indianization gives the airport a distinct personality, and allows travellers to imagine stories about India’s heritage and culture. 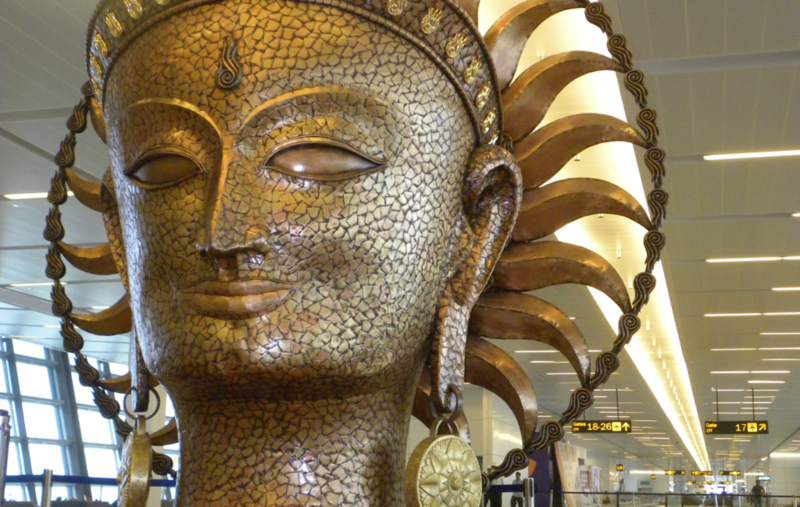 The spirit and soul of India breathes in every touch point be it the colourful nodes at the ends of aerobridges, the rows of check-in counters in the departure hall or the larger than life sculptures on the way to the departure gates. Designed to be a proud ambassador for Brand India, T3 is a blend of our glorious heritage and the joy of celebration in a manner that feels contemporary and yet has its roots in tradition. The burst of colour and form create delight and a curiosity to discover more. 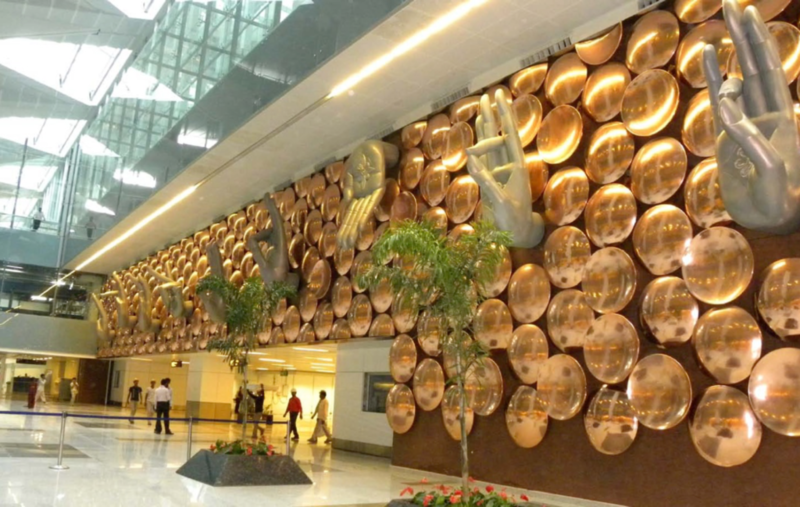 To learn more about Delhi T3, head to its website. © 2010 Landor. All rights reserved. 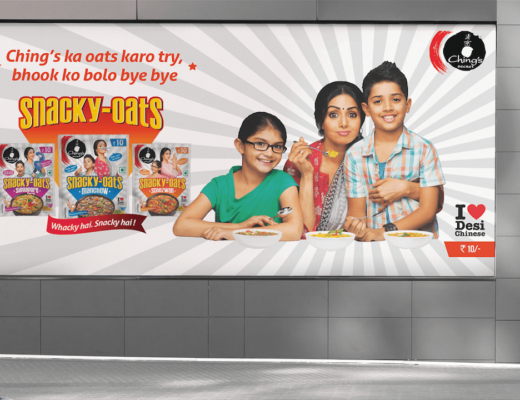 Ching’s Snacky Oats: Don’t keep this a secret!